Join UC Master Gardeners Sue Procter and Tina Heitzman for a hands-on class about planting and caring for succulents. 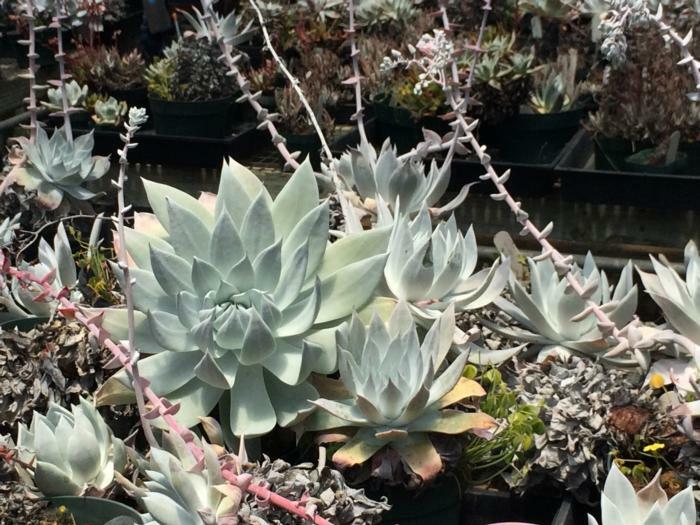 You’ll learn about the fascinating varieties of succulents, planting techniques, soil selection, propagation by cuttings and divisions and ongoing care including watering, fertilizing and pest management. Everyone will get hands-on instruction planting succulents in a pot they can take home. Please bring a special container with a drain hole for your planting. You can bring an overgrown or straggly succulent already in a container to learn how to refresh and re-pot it. This free class will include a succulent swap at this event so everyone is invited to bring succulent cuttings to share with one another for our plantings and to take home. Supplies including succulent cuttings, potting soil, top dressings and some extra pots will be available for all to share. Please arrive 15 min early to register or sign in. Instruction is free but Quail Hollow collects $3.00 for use of the facilities.